I've been going through a reading slump. For months now, every book I've picked up has lacked that certain something. The best I can say is that I was interested enough to skim to the end, but most often I just forgot about it until I got a notice from the library saying it was due. 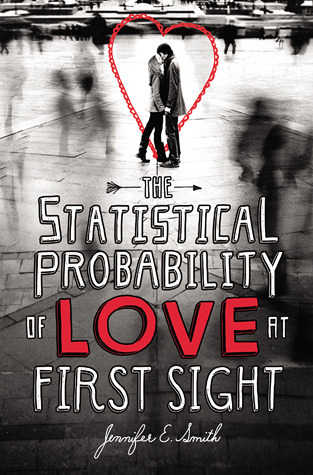 But, at Sheena’s encouragement, I picked up The Statistical Probability of Love at First Sight, and I finished it! No skimming involved. It was a lovely, lovely book that reminded me that books don’t always need explosions to be wonderful. (They do, however, need to be in the past tense, but that’s a pet peeve for another blog post.) 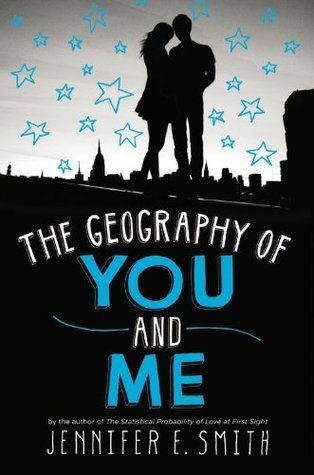 I hurried to my library’s web site and reserved The Geography of You and Me, which is another book by Jennifer E. Smith. And that was when I remembered that sometimes authors I like write new books. And that those books might help break me free of my reading slump. A smidgen of research later, and I had a brand new TBR pile. I hope you like it. Annith has watched her gifted sisters at the convent come and go, carrying out their dark dealings in the name of St. Mortain, patiently awaiting her own turn to serve Death. But her worst fears are realized when she discovers she is being groomed by the abbess as a Seeress, to be forever sequestered in the rock and stone womb of the convent. Feeling sorely betrayed, Annith decides to strike out on her own. She has spent her whole life training to be an assassin. Just because the convent has changed its mind, doesn’t mean she has. Mortal Heart came out 3 DAYS AGO! I spent my whole fall not eagerly anticipating this book. What a waste. If you haven’t read His Fair Assassins Trilogy, you should. 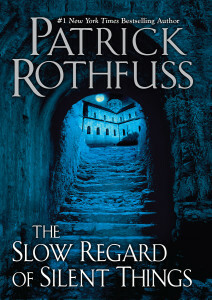 This is the final book in the series. A brand new series by Marie Lu. 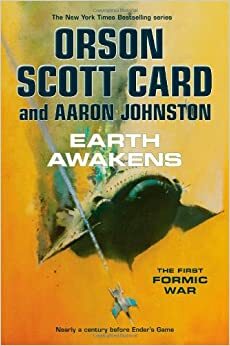 This is the third book in the First Formic War series, the prequel to Ender’s Game. It is the story of Mazer Rakham and the rest of Earth as they meet the Buggers for the first time. 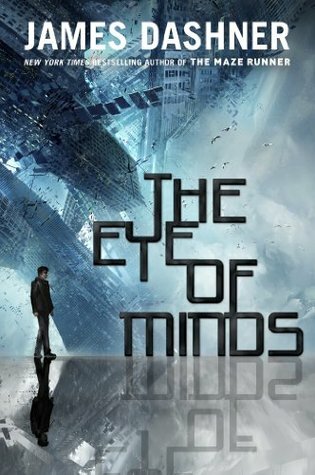 If you are an Ender's Game fan, you've got to read these. If not, you can probably skip them. I’m late on this one! Book 3 is already out, and I’ve never read book 2. Ana and the French Kiss is book 1, and Isla and the Happily Ever After is the last book in the series. Budding designer Lola Nolan doesn’t believe in fashion...she believes in costume. The more expressive the outfit—more sparkly, more fun, more wild—the better. But even though Lola’s style is outrageous, she’s a devoted daughter and friend with some big plans for the future. And everything is pretty perfect (right down to her hot rocker boyfriend) until the dreaded Bell twins, Calliope and Cricket, return to the neighborhood. 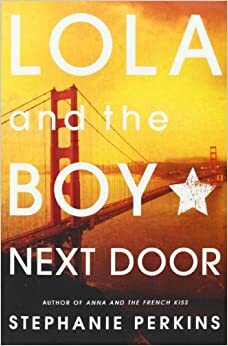 When Cricket—a gifted inventor—steps out from his twin sister’s shadow and back into Lola’s life, she must finally reconcile a lifetime of feelings for the boy next door. 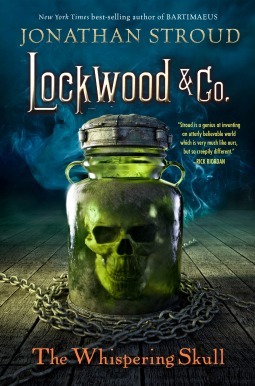 In the six months since Anthony, Lucy, and George survived a night in the most haunted house in England, Lockwood & Co. hasn't made much progress. Quill Kipps and his team of Fittes agents keep swooping in on Lockwood's investigations. Finally, in a fit of anger, Anthony challenges his rival to a contest: the next time the two agencies compete on a job, the losing side will have to admit defeat in the Times newspaper. Things look up when a new client, Mr. Saunders, hires Lockwood & Co. to be present at the excavation of Edmund Bickerstaff, a Victorian doctor who reportedly tried to communicate with the dead. Saunders needs the coffin sealed with silver to prevent any supernatural trouble. All goes well-until George's curiosity attracts a horrible phantom. Back home at Portland Row, Lockwood accuses George of making too many careless mistakes. Lucy is distracted by urgent whispers coming from the skull in the ghost jar. Then the team is summoned to DEPRAC headquarters. Kipps is there too, much to Lockwood's annoyance. Bickerstaff's coffin was raided and a strange glass object buried with the corpse has vanished. Inspector Barnes believes the relic to be highly dangerous, and he wants it found. Michael is a gamer. And like most gamers, he almost spends more time on the VirtNet than in the actual world. The VirtNet offers total mind and body immersion, and the more hacking skills you have, the more fun. Why bother following the rules when most of them are dumb, anyway? This is the third book in the Insignia series, a series I found completely by happenstance. But I love it. 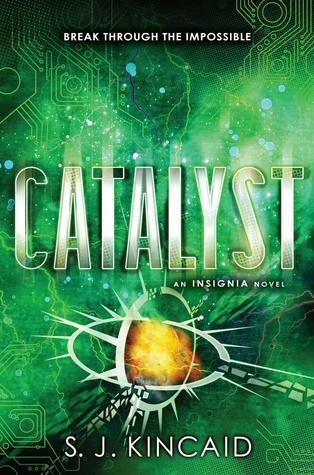 S. J. Kincaid has created a fascinating dystopian world for Insignia, her futuristic science-fiction adventure series perfect for fans of Ender's Game. Earth is in the middle of WWIII, battling to determine which governments and corporations will control the resources of the solar system. Teen Tom Raines grew up with nothing, some days without even a roof over his head. Then his exceptional gaming skills earned him a spot in the Intrasolar Forces, the country's elite military training program, and his life completely changed. Now, in Catalyst, the explosive series conclusion, dangerous changes have come to the Pentagonal Spire, where Tom and his friends train. When a mysterious figure starts fighting against the evil corporations' horrifying plans, but with methods Tom finds shocking, he must decide which side he's on. With slim odds of success, is it even worth the fight? 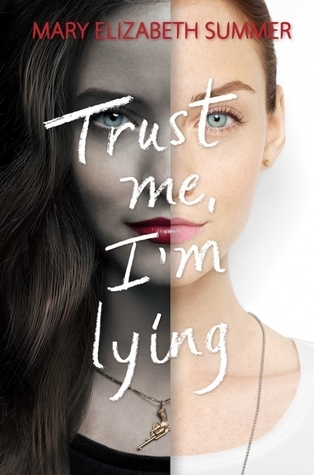 I’ve never read anything by Mary Elizabeth Summer, but goodreads said that if I liked the Heist Society series, I might like this one. So I’m excited, because I LOVED the Heist Society series. What books are you looking forward to reading? I always look forward to your reading lists. :) Did you read the Maze Runner series? If so, did you see the movies? I think that the movie was actually a fairly good adaptation! Work in progress - copyediting!